I'm a self confessed matcha obsessive, I drink matcha every day - I absolutely love the taste and how it makes me feel. However now the weather is warming up I haven't been craving my standard hot matcha with frothy oat milk, I've been reaching for an iced matcha latte instead. 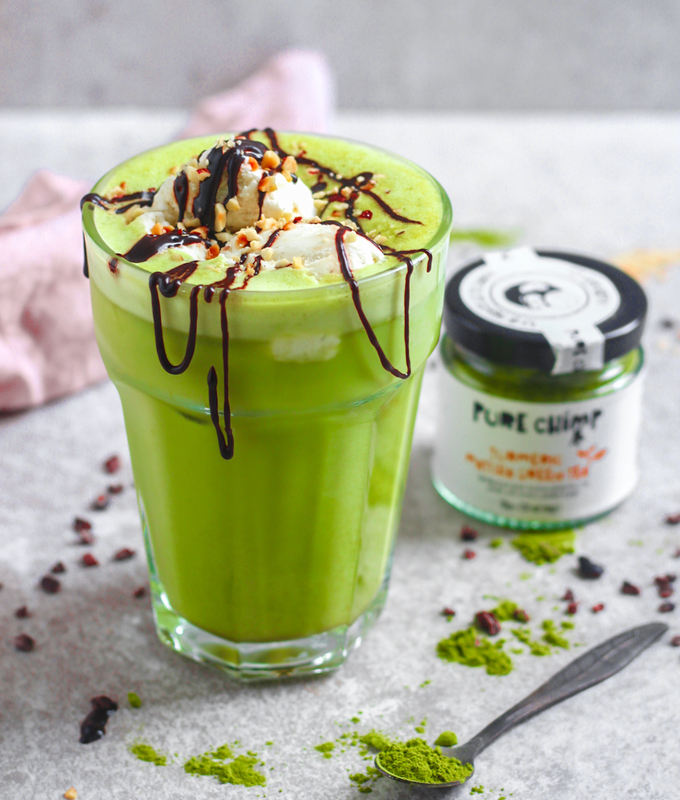 My iced matcha isn't any old iced matcha though, I've taken it to a whole new level with Pure Chimp's turmeric matcha powder, oat milk, a scoop of vegan vanilla ice cream and drizzle of chocolate sauce! I don't do anything my halves. I've been loving the Turmeric Matcha by Pure Chimp to not only get my matcha fix but a hit of anti-inflammatories too from the turmeric. You may know I've been on a real 'health comeback' mission lately and I feel like this matcha fills my body with so much goodness! The turmeric in this matcha adds such a depth of flavour, along with the cinnamon and ginger included in this mixture - I just adore it and it makes the tastiest iced matcha latte too. I add a scoop of vegan vanilla ice cream and drizzle of chocolate sauce on the top for an indulgent extra that's so perfect on a hot Summer's day! Plus the smoothness of the ice-cream is a dream with the turmeric matcha flavours. Matcha is amazing because it's one of the highest forms of antioxidants out there, which'll help you fight against the effects of UV radiation, prevent chronic disease and even help us to stay looking younger for longer. 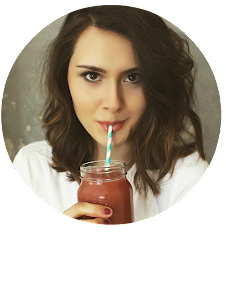 Matcha is also a great energy booster as it contains all natural caffeine, but fear not the caffeine in matcha is not the same as the caffeine in coffee. 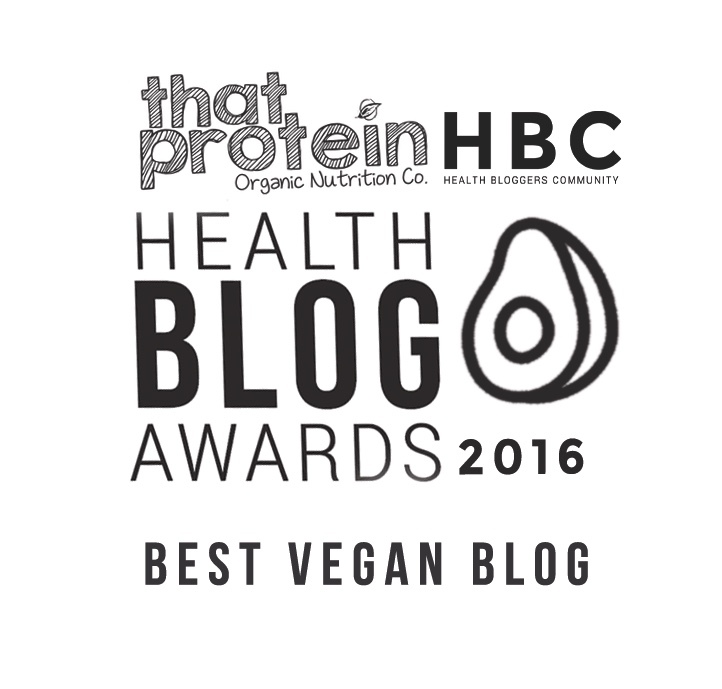 Matcha is absorbed more slowly into the bloodstream so shouldn't leave you feeling shaky or anxious. I know I personally feel naturally energised for a long period of time after a matcha and definitely notice my concentration improves. Simply add the oat milk, matcha powder and maple syrup to a blender and blitz together. Add the ice to a glass then pour the matcha over the top. Place your scoops of ice-cream onto the top of matcha latte - they should float! Drizzle with the melted chocolate and you've got yourself an unbeatable, irresistible iced matcha latte.